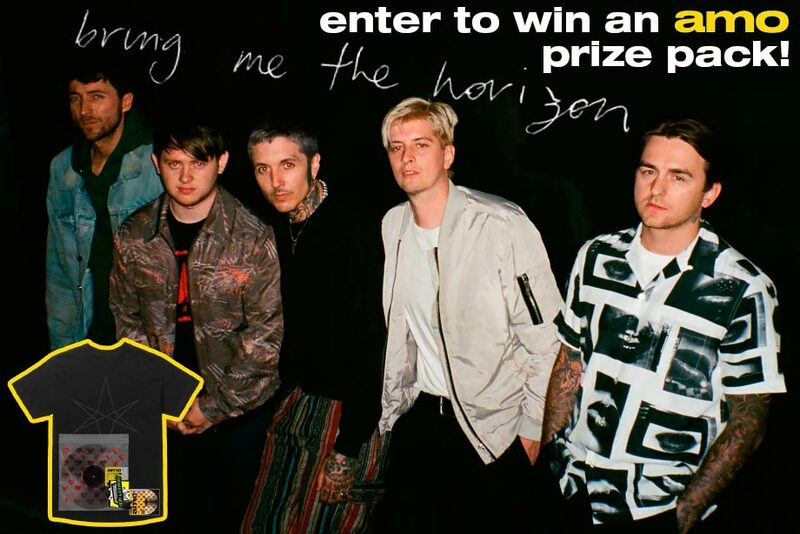 Enter here for a chance to win an amo prize pack including a CD, vinyl, and merch. I swear I think I have a pic exactly like that from high school. Five dorks walking around and someone says ‘say cheese’. We were not amused either. I should find it. Good Luck!